Left, Figure 1. Seedling with post-emergence damping off (left) next to a healthy seedling. Right, Figure 2. Plant with underground hypocotyl decay caused by seedling pathogen. 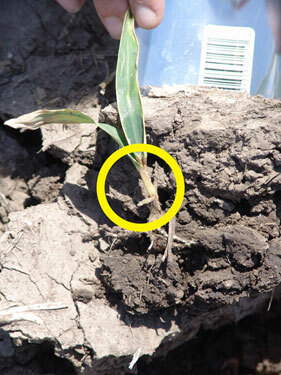 Field conditions vary widely across Nebraska right now and may put early planted corn at added risk for seedling diseases. 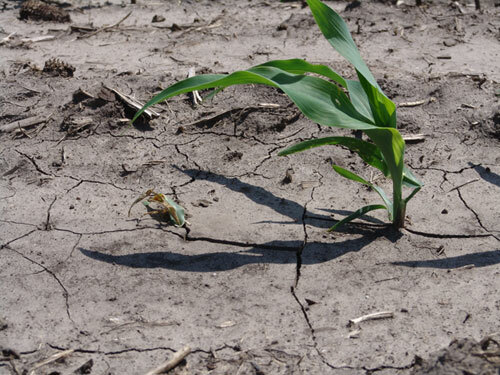 In some areas cool soil temperatures and episodes of recent rainfall are especially favorable for some of the most common and damaging seedling diseases; in other areas, field conditions are quite dry. Numerous seedling diseases can occur and take advantage of any of these conditions. Be sure to monitor seedling emergence and stand establishment in the coming weeks so that if problems occur, they can be detected as early as possible. Figure 3. 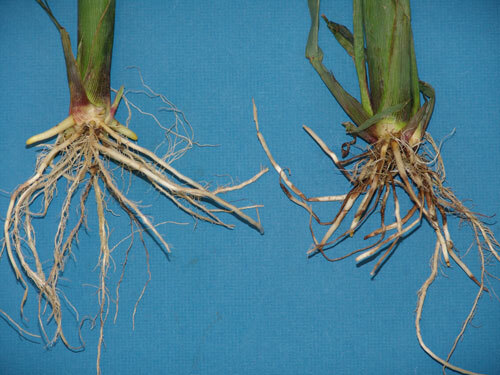 Root lesions and decay (right) compared to apparently healthy plant (left) with no evident discoloration or lesions. Figure 4. 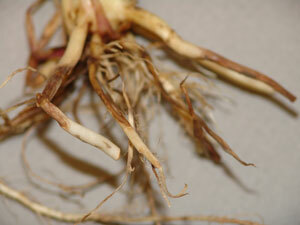 Reddish-brown root lesions typical of Rhizoctonia root rot.